Psychotherapist and TV presenter Arantxa Coca knows very well that sometimes what you say is not exactly what you wanted to say. For this reason it is very important for her personal website to both say and convey the same message. 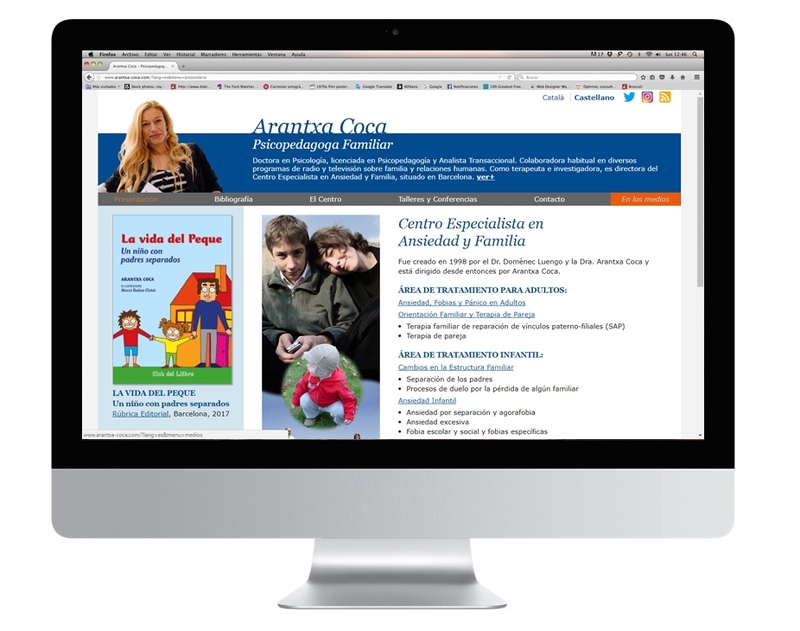 Professional, accessible and expert in her field are defining words for both her and her team at the Centre of Psychology for the Treatment of Child and Adult Anxiety (Centro de Psicología para el Tratamiento de la Ansiedad Infantil y Adulta).